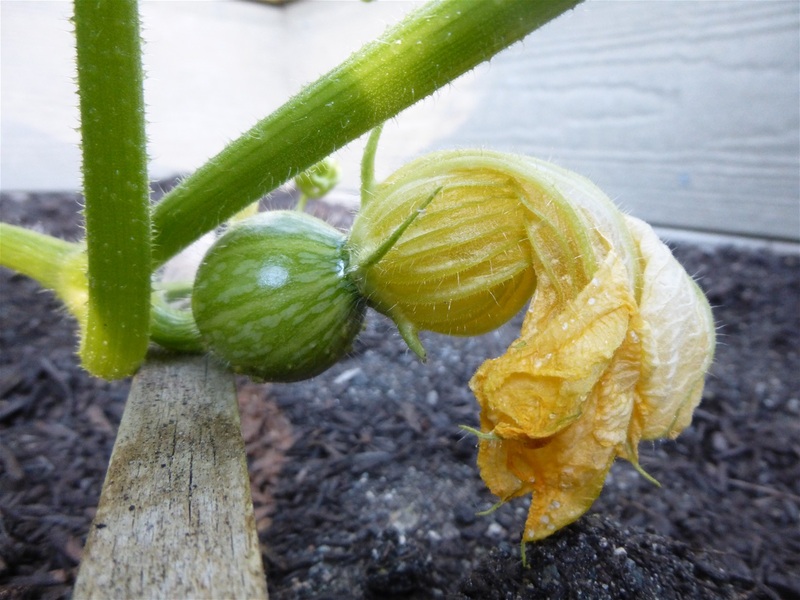 A little "Kabocha" Squashlet... I use the female flower blossoms when I have many... take the "stamen" out and fill with a garlic/ cream cheese filling and saute.... so amazing... a French dish. We grow our seedlings from Heirloom seeds and start some indoor first like the tomatoes and a few other crops. Most of our seedlings grow in our greenhouses to be transplanted at the right time in spring.